With a population of around 200000 people in metropolitan areas, Chiang Rai is a scene yet to be touched by the human hustle lifestyle in other areas. 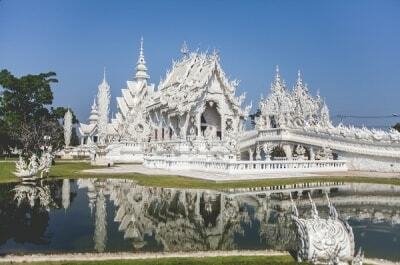 Located in the Nothern regions of Thailand, Chiang Rai is known for more than just a convergent point of the Golden Triangle comprised of Lao, Thailand & Myanmar. Whether it is culinary, historical or scenary, tourists often find themselves entranced by Chiang Rai’s many unique cultural charms. 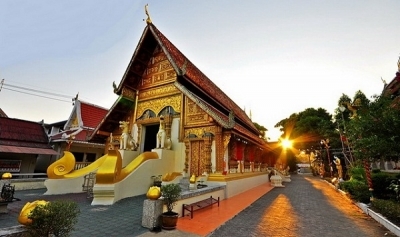 One of Chiang Rai’s oldest temples, the Wat Phra Singh was built in 1385, a little over a century after the city of Chiang Rai was founded by King Mengrai in 1262. The main structures of the Lanna style temple are the ubosot, the viharn, a chapel containing a footprint of the Buddha and the Kuti or monks living quarters. The temple grounds are open daily from 6 am until 5 pm. Admission is free.